Our (semi-secret) love affair with canned wines began about 5 years ago. It was probably some mid-summer weekend when we were shopping at our local Safeway and came across a cute little pink hexagonal shaped box in the sparkling wine section. Intrigued, we picked up the box and found it was a four pack of cans of Sofia sparkling wine. Perfect for poolside sipping, and with straws attached like they are on kids juice boxes, we were instantly hooked. Ever since we have been on the lookout for new canned wines to try and in the past year, canned wines have really stepped up their game! Here is a list of some of our favorites. We promise there's a canned wine for everyone! This California company was created for the nomads, a place to sip wine before resuming their travels. We totally love that! Nomadica cans are also special because each label is different with art designed by various artists. The pink river rosé is bright and crisp. The sparkling white (our favorite) is fresh, citrusy, with a hint of green apple. The chenin blanc smells and tastes of white peaches is light and refreshing. The red wine blend tastes of chokecherry, plum and slight tannins with a long smooth finish. The Oregon white blend (love the label) is lightly bubbly, dry, and minerally. Pop the top, start the playlist, sit back, and sip...you'll feel like you're away on an adventure even from your couch. Alloy canned wines will impress and most likely change the views of all canned wine haters. These wines taste the most like a wine that is produced/bottled in a glass bottle. Honestly, if someone brought us a glass without the can we probably wouldn't be able to tell the difference. This Paso Robles winery has a variety of high-quality canned wines and also does a canned wine club! Their wine club #yeswecan is $30 a month and includes 4 shipments a year, 6 wines per shipment. We tried their 12 oz tallboy rosé it was delicious. Strawberry, citrus on the nose followed by a crisp, dry rosé that tastes like strawberries, sour patch kids, guava, grapefruit, and rose petals. Their chardonnay smells like it's out of a bottle (none of that tin can smell) tastes of vanilla, citrus, and pears and pie crust (nom). The pinot noir is also delicious with hints of cherry and vanilla, and tastes of those and some earthy mushroom, tree bark, and cola. Our local indie cinema Osio Theater carries them as well which makes us SO happy! Social is slightly different in that it is a sparkling sake wine (wine made from rice). There are four versatile flavors to choose from toasted coconut almond, pink grapefruit ginger, hibiscus cucumber, and elderflower apple. The great thing about SOCIAL is that they are organic, superfood infused, gluten and sulfite free, have 1 gram of sugar, and ONLY 88 calories!! These cans are ALL about fun without the guilt! We teamed up with them to create a cocktail with one of their flavors so stay tuned for that recipe coming soon! Fiesta Winery located in Texas just recently started dipping their toes in the canned industry. We loved trying this wine since we rarely venture from California wines and the can design is super cute! The Tex Way Rosé is perfect for any summer activity. 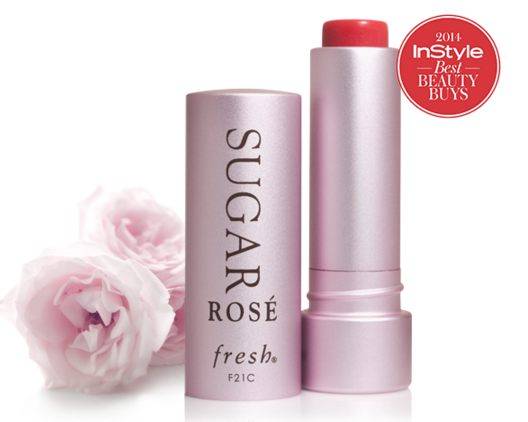 It smells of pink starburst, rose, and raspberry and tastes of raspberry and rose with a light creaminess to the finish. We recommend it served very chilled with a side of bright sunshine! House Wines' Rosé Bubbles is a party in a can. Crisp, with notes of citrus, tastes of strawberries and is lightly carbonated, this is an upgrade from the Sofia bubbles in flavor and size! ;) It's perfect to pack for a picnic or a day at the beach. The size is large enough to share (or not) and we LOVE the millennial pink can design. For the serious sipper: West Side Wine Co. The West Side Wine Co. from California is another great option for real wine lovers. The chardonnay had a slightly carbonated taste with hints of toasted vanilla, grapefruit, and green apple. The cabernet sauvignon is jammy with hints of boysenberry, fig, and has light tannins. One look at these insta-worthy cans and you're transported to the striped umbrella dotted beaches of the French Riviera! These three newly released flavors are perfect for your casual backyard, beach bonfire setting. Since they are "wine cocktails" they taste less of wine and more like a cocktail. We thought they were great straight out of the can but add a little fruit and a tall glass with ice - sangria style - and you've instantly got a vacation in a glass! The Black Cherry Bicicletta is the most flavorful with a nice citrus kick while the Negroni Sbagliato is perfect for the classic cocktail lover (Eve's pick). The Watermelon Americano is the lightest and driest in flavor and tastes the most like wine (Ivy's pick). We've been seeing these cans all over Instagram lately so when we found them stocked at our local Whole Foods, we decided to test them out. This sparkling wine spritzer is dangerously delicious and perfect for a hot summer day. We wouldn't say it tastes like wine, more like a grapefruit sanpellegrino, but who doesn't love those! We will definitely be stocking up on these all summer long. We discovered these gems recently and are obsessed. They are perfect for all types of on-the-go wine activities. These glasses are spill-proof with their locking drink-through-lid (also great for keeping sand out of your wine - yuck). These glasses are made of glass (yay!) but have a protective silicon sleeve. They have tons of trendy colors to choose from as well so you won't get confused with what glass is yours! We saw these bags on Instagram a few months back and HAD to test it out. Porto Vino Wine Bags come in a variety of colors and styles. Inside is roomy with an insulated zipper compartment and a wine bladder attached to a spout that discreetly pops out the side for easy pouring. You just chill your favorite wine (or not if its red) fill the bladder, and go! This is the classy way to carry around wine to sporting events, BBQs and beach parties. We love how much room there is for your beach towel, glasses, and snacks while filled up with your favorite rosé. We ran a fabulous giveaway with Wine Glass Writer a few months ago and have used these markers for all sorts of parties. Simply pick a color and write on your glass, let it dry for a minute before touching (or filling it with cold wine) and your design will stay on till you wash it off with soap and water. These have been a great addition to our parties, we ask our friends to write their name (or draw something fun) so they know which glass is theirs. It has cut down the number of glasses we have to wash by a dozen or so! These pens are also great for writing on mirrors (wedding seat assignment) and serving plates. Use our discount code everyonewins10 for a 10% discount on your order!! The 2018 Pebble Beach Food and Wine has come and gone and we are SO sad. We had so much fun tasting and nibbling on all the food and wine sent from heaven under one giant white tent. If you are a lover of food, or wine, or both like us, we highly recommend attending. It is seriously so amazing! We learned so many new things during the weekend, we wanted to put together a list of 10 things we learned at this year's event. 1. The Year of Foie Gras - We are calling this years event "The Year of Foie Gras" because so many of the chefs under the big tent on Saturday and Sunday were serving up delicious bites of foie gras. Eve has always adored Foie gras but Ivy, on the other hand, tends to steer away from these dishes because of the earthy liver taste. This year Ivy couldnt help but fall in love with Foie gras though. This year's chefs foie gras dishes all had such distinct tastes- some were fresh like Hudson Valley's brown butter foie gras crumble & strawberry...or the English pea panna cotta with spring vegetables, Meyer lemon and foie gras by Chef Blom. Foie gras can be made in so many ways it really can be delightful to all pallets! 2. Eat Your Invasives - Chef Lofaro had one of our favorite dishes of the weekend. Why? Because it was delicious, the presentation was beautiful, and the concept behind it was so awesome. Lafaro had made his dish out of kiawe bean flour and strawberry and guava plants which are all invasive plants in his home state of Hawaii. He decided to use these invasives for good - eating! As he removes the plants from the landscape, he uses it to create this delicious dish. No waste for the bettering of the ecosystem. SO COOL! 3. Time For Vegas - We were invited to the Venetian Hotel happy hour on Saturday evening. This event was held at the fire pits at the Inn at Spanish Bay. The happy hour included a few signature cocktails that were tasty and unique and Chef Lorena Garcia was serving up delicious tacos! Ivy has only been to Vegas overnight on her way back from college and Eve has NEVER been! From what The Venetian did with this event, we know where we're headed next! Vegas Baby! We're planning to go to Vegas in the next several months to get the FULL Vegas experience! 4. There really is no substitute for bubbles - This year we were lucky to catch up with our "spirit sommelier" Kim Beto and attend his Sunday Bubbles Seminar, which is similar to the Big Bottle Bubbles seminar we attended in 2016. If you love champagne like us, you MUST attend this seminar. At 10 am on a Sunday you are greeted with a tasting flight of 9 different champagnes/sparkling wines to taste along with your new best friends (the five champagne experts on the panel). Magnums are the perfect size for two if only one is drinking. England is the new "up and coming" producer of sparkling wines. Two of the nine wines we tasted were from Jolly Old England and we were shocked at how delicious they were! We honestly didn't think good wine could come from such a wet, mild climate. Boy, were we wrong! 5. Good bread and butter is one of life's greatest simple pleasures - We are always down to eat fresh bread and homemade butter, but it's not something you are expecting to eat at the Pebble Beach Food and Wine. A day full of foie gras and delectable cheeses is more the norm. However, this year we stumbled upon the Kerrygold butter booth and were pleasantly surprised and instantly comforted by the simplicity of quality bread and butter. After hours of trying new wines and rich bites, the bread and butter was a welcomed change! Such a simple food really can be delicious. 8. Berries by themselves - Driscoll always makes an appearance at the PBFW event. The berries are served as is and are always one of our favorite snacks in between the richer bites chefs prepare. The acidity and sweetness wake up our pallet so they are ready to try the next thing! We also loved the tasty berry popsicles they handed out as we all left the tent. 9. Sake for wellness sake - This year we sampled TYKU sake which has a variety of flavors. Tyku is a clean alternative to wine because it has lower acidity, no sulfites which sometimes irritate people, and has no tannins. You can literally "unwine" with TYKU. Our favorite flavor was the refreshing cucumber. We think it may be time to explore the world of sake soon. 10. There really is NOTHING like PBFW - We haven't been able to attend any of the other Food and Wine events around the world but we have been told by many who have that the Pebble Beach Food and Wine is the BEST. And jousting by the location, the chef and winemakers who attend, and our experience, we can't see how anywhere else can compare! It was our Mom's birthday on Sunday we were so happy to be able to spend the day sipping and tasting with her! Kona kampachi tartar with shallots, chives, avacado puree, radish, lemon aioli and honey crumble. If you haven't heard yet, we are SUPER excited to announce we are attending the 2018 Pebble Beach Food & Wine- Saturday & Sunday events this coming weekend! We attended the 2016 Sunday Big Bottle Bubbles and the Lexus Grand Tasting event (which you can read about here) and it was such a blast. We have put together some tips for you to keep in mind as you prepare to attend all of this year's Food and Wine events. Make sure you are FULLY hydrated before the event and drink water between each taste. Eat something before the event! Otherwise the alcohol will affect you sooner! Make sure you have your designated driver/transportation home figured out before you get to the event. We all want to be responsible imbibers!!! Comfy, chic, closed toe shoes are best for such events since there are lots of people and the possibility of being stomped on is high. We recommend wearing shoes you are comfortable in since these events are hours long and you'll be standing/walking around the the whole time. Wear layers that can be easily carried (you'll need both hands for food/drinks). The weather in Pebble Beach can go from chilly 50's to sunny 75 in a matter on minutes, so layering up is always a good idea. That being said, make sure whatever layers you wear can be either tied around your shoulders/waist or stuffed in your bag. Long lasting lip color/no lip color (greasy foods and lots of wine will make it rub off easily). We recommend Lipsense (our new favorite brand!) but if you don't have time to get some...our second favorite is Maybelline Super Stay 24 Color. Start with bubbles! Sparkling wine excites your palate and gets you ready for what is to come! Go from light to dark wines. Since you wont be guided through the hundreds of wines this guide comes in handy: White before Red, Dry before Sweet. Use the 5 S's - Sight, Swirl, Smell, Sip, Savor! Bring your sense of adventure! At all food & wine events, we highly recommend keeping away from your favorites and trying something new that you never thought you would like! Last time, we tried Chef Todd Fischer's Bacon Chocolate Covered Chicharrones which Eve was actually addicted to for weeks (we asked the Chef Todd for several take-home bags!!). If you didn't already know, subscription services are one of our guilty pleasures. We've love receiving packages in the mail, and what could be better than receiving a package of wine?! Last year we reviewed the WINC wine subscription HERE. Now we want to share with you the Wine Of The Month Club! So why join Wine Of The Month Club? Well, being the original wine shipping subscription service (started in 1972), they have had time to perfect. Why do we love WOTMC so much? They offer 10 different club levels to choose from, ranging from the classic membership to the more specific rosé only club. You can be as picky or nonchalant as you wish with shipments. We subscribe to the "Classic" Cellar Series club which ships six bottles (4 red, 2 white) to our door every other month. We love this club because we try amazing value wines from around the world. All wines have a 100% guarantee so if you don't like the wine, you don't pay for it. Also, if you like something, they have fantastic reorder prices! Take a look at one of our most recent shipments! This mega red-blend of Cabernet Sauvignon, Merlot, Malbec, Petit Verdot, and Zinfandel has a deep crimson color with blackberry and spice notes acommpanied by intense fruit flavors and a hint of bright strawberry at the finish. We would pair this bold red with and equally big flavored dish and red meats. This dark ruby colored classic Italian varietal has a slightly "hot" alcoholic smell with subtle scents of damp soil and dark fruit - bursting flavors on the tongue of black cherries and licorice. Nice long finish. We would serve this up with steak or game! This lush merlot was our favorite out of the shipment. With an intoxicating aroma of dark fruits, spice, and leather. On the palate we tasted dark fruit and berries, vanilla, and a hint of tobacco. This wine had a nice smooth finish with silky tannins. We would happily sip on this alone or pair it with a great cheese board. While completely drinkable this was our least favorite of the shipment. This Zin had a dark rusty red color, smelled a bit like straw and had dry, dusty tannins. We would recommend decanting it (which we did after our first taste) giving it a chance to open up a bit. This Sauv Blanc had a very pale yellow color with a citrusy nose and a hint of green bell peppers. Pleasingly, it tasted much less acidic than what the scent hinted. We would recommend drinking this wine with a nice light veggie dish or fish. This wine had a bright yellow color and aromas of grapefruit and pineapple. The taste was tropical with a nice mineral finish - very crisp and refreshing. We would suggest pairing this wine with fish or a fresh salad! Whole Foods Wine Sale + Food Pairings! Who loves a great wine sale? We sure do! Whole Foods Market is holding an awesome wine sale ONE DAY only-Friday, September 8th. For that one day only, you will get 30% off any 6 or more bottles purchase (excluding wines with prices ending in .98). We have partnered with our favorite grocery store to share with you some of our wine sale recommendations as well as some great food pairings so you can make the most of this great sale. Everyone also knows we LOVEEE wine tasting. Be sure to stop by the store this week for some of exactly that! There will be wine tasting going on Aug. 29th & 30th (4pm-7pm). This will is a great way to try out some of the wines on sale before purchasing them. And if you do find something you love we suggest pre-ordering to ensure you get the wines you want. Plus you will receive a coupon for 50% off your olive bar purchases when you come to pickup your wines on the 8th! We know we'll be heading over to our local Whole Foods to sample before we buy! Tasting notes: Pale straw color, notes of grapefruit, grass, and melon. Crisp. Pairing: We love to pair Sauvignon Blancs with briny things like olives and oysters (YUM!). Tasting notes: Light salmon color, notes of rose, strawberries, summer fruits, with a slight minerality. Dry. Pairing: We tend to pair dry rosé with goat cheese, prosciutto and other cured meats, and our ultimate favorite...pizza!! Tasting notes: Inky color, notes of subtle spices, jammy, black berry, black cherry, and slight tobacco. Light tannins. Pairing: We love to pair our favorite Spanish red with a great Spanish sheep's cheese like a Manchego! We suggest the Mitica 3-month aged Manchego alongside some 34° Crisps crackers (Ivy's absolute fave) and Guayeco Guava Paste all from Whole Foods! This is seriously the ultimate single bite! Tasting notes: Pale peach color, notes of strawberries and cream and lightly toasted brioche. Small, tight bubbles and nice acidity. Pairing: We would totally love to nosh on some brie and baguette with this sparkling rosé, but we could also see this pairing perfectly with brunch (eggs benedict anyone?!?) or even enjoying sans food poolside! Do you have any Whole Foods wine recommendations or food pairing suggestions? Let us know! 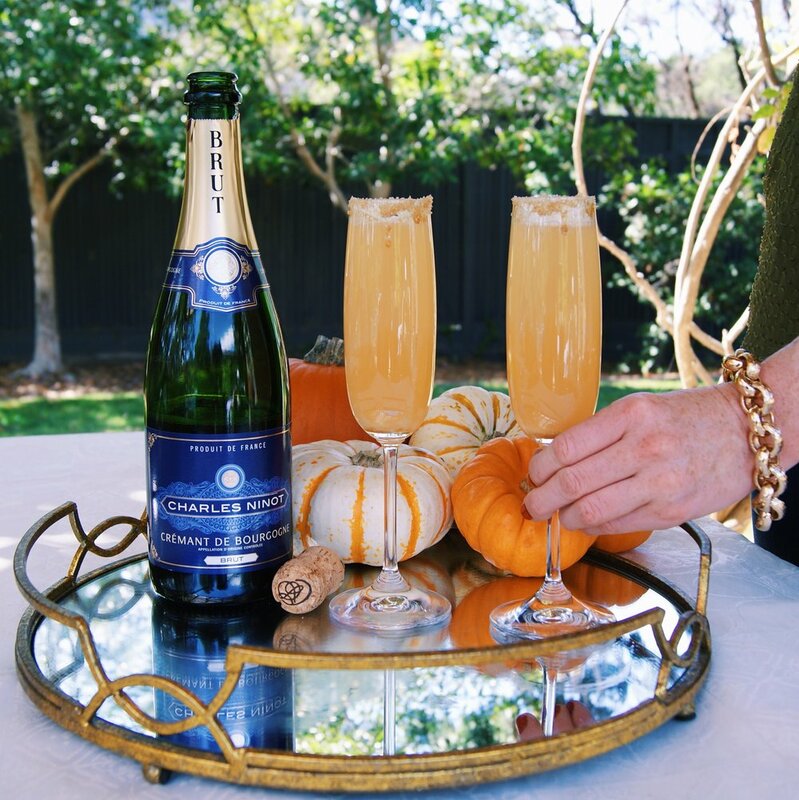 We love champagne, and by now you probably know we LOVE autumn, so what better than combine two things we can't live without! We love drinking champagne on its own but sometimes it's fun to spruce it up a bit and make a champagne cocktail. With all the autumn festivities going on, we started brainstorming cocktail ideas. Quickly, we narrowed it down to something with champagne and then decided to pair it with the quintessential fall apple cider. We are pretty happy with the results and it takes 5 minutes or less to make! This cocktail is perfect for any fall gathering and screams to be served during Thanksgiving dinner. Drizzle the caramel sauce on champagne flute rim. Turn over the flute and roll the rim in the brown sugar. Pour about 1.5 oz (one shot) of apple cider into the champagne flutes. Pour champagne into flutes, fill to brim. You may have noticed a certain pink drink popping up on social media...no we don't mean the Pink Drink from Starbucks (although that one is delicious!) we mean Frosé! Frosé is a slushy like drink made of...you guessed it, ROSÉ! As soon as we saw a photo of this magical beverage, we knew we had to try it. We haven't seen it on any drink menu near us so we looked at some recipes online and the recipes vary a lot. We picked up a bunch of strawberries from the farmers market so we thought why not add that to the mix? This recipe would also be great to make cheeky alcoholic popsicles as well. Enjoy! Cut the tops off the strawberries. Place the strawberries in a blender (or food processor) and puree. Strain the strawberries using a fine mesh strainer into a large bowl. Use the back of a spoon to push the puree through without pushing the seeds through. Pour the bottle of rosé through the strainer to help get the last bit of puree through the strainer and discard the leftover seeds and pulp. If there are some seeds and pulp in the bowl you can strain once more. Add the sweet vermouth and stir. Taste test to see if you would like to add any agave syrup and add if you would like. Once frozen, break up the frozen mixture with a spoon and place in a blender. Blend until smooth, pour into glasses, garnish with a strawberry and some mint and a straw.